If you or a loved one have been injured due to a car accident, negligence, or medical malpractice, contact Vancouver Lawyer Scott Parks for a free review of your claim. 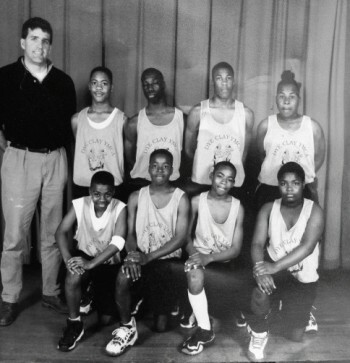 Licensed in both Canada and the U.S.A.
Scott Parks coaching Jacksonville youth league basketball. Scott Parks is a Barrister and Solicitor in Canada and he is also a lawyer in the United States, being admitted in numerous states jurisdictions including Washington, Oregon, Florida , and Georgia. President and a founding partner of our trial law firm, formed in 1990. Recognized by peers as a prominent trial attorney in the United States, he is a passionate and active advocate for the cause of justice. He is focused on representing plaintiffs who have been seriously injured by accidents, product defects, premises liability and other forms of negligence. In the pursuit of justice, Mr.Parks has tried over 50 jury trials to conclusion and handled thousands of mediated settlements — a top record for results. Mr. Parks is AV-rated by Martindale-Hubbell, board certified by The Florida Bar in Civil Trial Law, receiving this distinction in 2001. He has a career-long record of providing support and leadership to a wide range of legal associations and civic organizations. He has been selected by a survey of his peers to “Legal Elite,” a designation limited to the top of attorneys for his practice in the United States. Mr. Parks was named by Best Lawyers as Personal Injury Lawyer for Jacksonville, Florida.